Here we are concerned with the officials (yakunin) of the Edo period only. kooyakunin 公役人, people who were compelled to do official duties for the government, like foot soldiers or manual labour for official buildings during the Edo period. 公約人 seems a mis spelling . In our times, they would be the state officials, Beamte in German. Shinji Ogawa explains that the phrase, juka sekijoo, which literally means to sleep or dwell under a tree and on a rock, figuratively denotes "being a monk practicing austerities." Here, he says, Issa uses the phrase to mean "poor," or "petty." It seems to me, however, that the minor official is literally standing under a tree to avoid the rain, a visual image that provides Issa with this opportunity for word-play. (2) translate the figurative meaning (Shinji suggests the middle phrase, "how miserable") but lose the literal image of the official crouching under a tree. My compromise: I keep the tree but lose the rock, adding Shinji's "miserable." The head is the sky. The eyes are sun and moon. The breath is the wind. are your very own body. is a proverb in Japanese. Who is this "minor" or "petty" official? 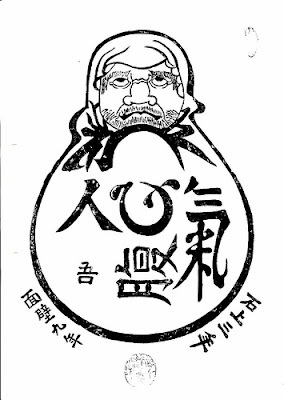 I found a definition of the word 'juka 儒家' by itself, which gave as its meaning: "Confucianist." 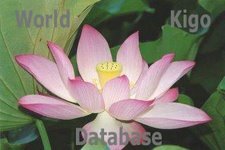 The 'juka' I found may be a homonym for the word Issa used, but maybe　Issa meant the word he used to suggest a Confucianist meaning as well　as a Buddhist meaning. And I found as a meaning for the　word 'koyakunin': "Low ranking samurai with various light duties such　as guarding the gate or patrolling the grounds." 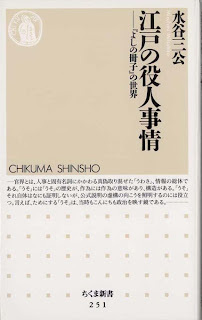 And looking up "Japanese Confucianism," I find this: "Neo-Confucianism (especially Chu Hsi Confucianism) was the most important　philosophy of Tokugawa Japan in government and education." So, during the 'sengoku jidai' period of Japanese history, "the age　of the country at war," even a samurai of the lowest rank would　ideally be imbued with the martial spirit, would at his best be　influenced by Zen Buddhism, and would be expected to stoically endure　austere conditions, even unto death. Who had this 'koyakunin' become by Issa's time? Although still　allowed to carry a sword (or maybe not? ), he was a minor or petty official, imbued more with neo-Confucian values than with Zen Buddhist values. I think Issa might be mocking the 'koyakunin's' samurai heritage or　pretensions. Gone is the samurai stoicness. 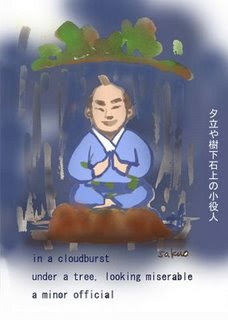 Instead of enduring the　cloudburst as if it were part of a Buddhist austerity ritual, the　minor official, a samurai in name only by Issa's time, looks　miserable under the tree.